The Mira Mesa Town Council is honored to once again present the annual Mira Mesa 4th of July Parade and Family Fun Day in the Park. This 45 year tradition allows Mira Mesa to come together in celebration of Independence Day and our rich and diverse community. The day begins with a Pancake Breakfast at the Mira Mesa Senior Center from 7 AM to 11 AM, hosted by the Black Mountain Masonic Lodge. Family Fun Day in the Park opens at 11 am with food vendors and entertainment. 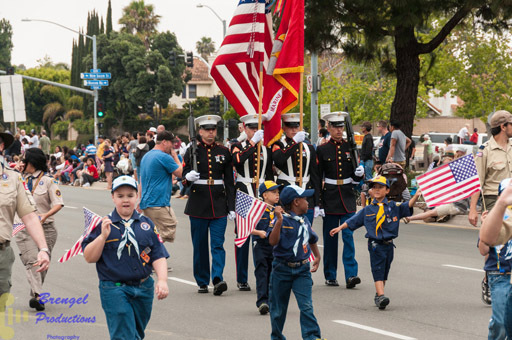 The annual 4th of July Parade steps off at 11:30 am from the corner of Mira Mesa Blvd and Greenford Drive, traveling down Mira Mesa Blvd and turning north on Camino Ruiz to end at New Salem. Family Fun Day continues until 9 pm, and the Park provides a front row seat for the Fireworks Extravaganza. The annual fireworks are produced by Scripps Mesa Fireworks. The 45th Annual Mira Mesa 4th of July Parade, celebrating “50 Years: A Community for the World,” will step off at 11:30 am on July 4. The parade application is now online. The Best Float Contest is back this year! The prize is $200 cash! Register here! This is your chance. Grab some friends, an application and get building! We hope you can Join us. For parade questions, please email fourthofjuly@miramesatowncouncil.org. Family fun day in Mira Mesa Community Park starts at 11 AM and continues until the Fireworks show at 9 PM. The Kid’s Zone at Family Fun Day is hosted by GLC volunteers, with kids’ activities and shows at 1:30 PM, 5:00 PM and 7:30 PM. The vendor application is now online. The deadline for applications is June 15, 2019! Vendor questions, please email fourthofjulyvendor@miramesatowncouncil.org. If you or your business would like to be a sponsor of the 4th of July Parade or Family Fun Day in the Park, please email fourthofjuly@miramesatowncouncil.org. The Mira Mesa 4th of July Committee is a standing committee of the Mira Mesa Town Council. The group meets monthly year-round on the second Wednesday of each month at 6:30 PM and every Wednesday in June, at the Mira Mesa Senior Center, 8460 Mira Mesa Boulevard. We thank our hard working volunteers who made this event possible! Pictures of the 2015 Fourth of July celebration by Ted Brengel. Pictures of the 2014 Fourth of July celebration by Ted Brengel. Pictures of the 2011 Fourth of July celebration by Ted Brengel. Video: 2010 Mira Mesa Fourth of July Fireworks – great end to a great day! Pictures of the 2009 Mira Mesa Fourth of July Celebration are posted here. Video of the 2009 Fourth of July Celebration from MiraMesa.com. Doug Dillard of MiraMesa.com posted a video of the 2008 Fireworks finale. Pictures from the 2007 Mira Mesa Fourth of July Celebration: “A Salute to Our Military.” .